A quiet man by nature, the late Chua Ek Kay bared his soul through his evolving art practice. Chua had the courage to push boundaries through his art in an era where it wasn’t understood or acceptable to alter a traditional art form in any way. 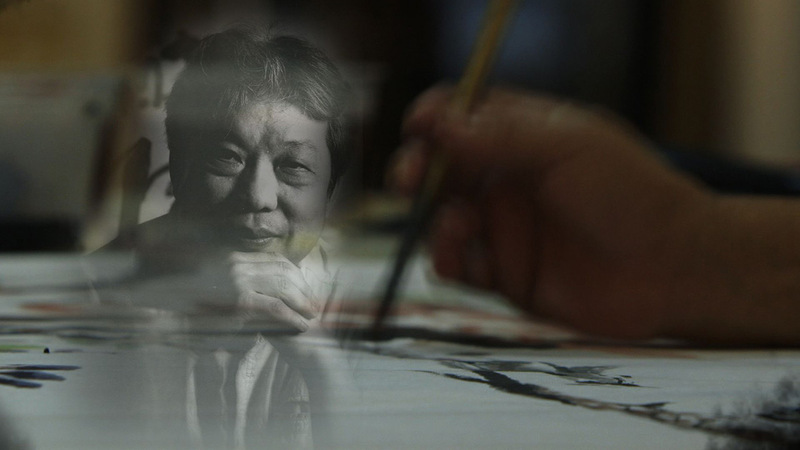 Born in China and raised in Singapore, Chua trained in classical Chinese philosophy and calligraphy. Chinese cultural influences were very much a part of his daily life and art. With all these inspirations, Chua’s artistic bearing should have been conventional, yet he only began his professional art career in his early 40′s, and dared to challenge aesthetic and cultural norms through following his own artistic approach. Chua began exploring his ideas about art, breaking away from traditionalist subjects, and even finding inspirations in Australian aboriginal cave paintings. As he opened up new expressions in his works, Chua found similarities between the traditional Chinese styles and the works of Western artists like Henri Matisse, Pablo Picasso and Jackson Pollock in terms of artistic spontaneity. During this time, Singapore was coming to the end of the twentieth century, and was still very much a conservative society. Debates about national and cultural identity were rife, and Singapore was at the crossroads of globalisation and modernisation. In pioneering new forms of representation using Chinese ink and brushstrokes, Chua in his private arena reflected the angst of the nation. Whilst he endured opposition from traditionalists, his quiet rebellion inspired other artists in Singapore to become freer in their own artistic expressions.